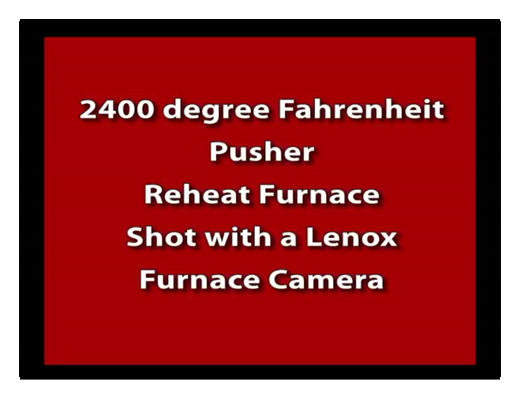 Click here to view video of a Reheat pusher furnance as caputred with a Furnace Camera HD. 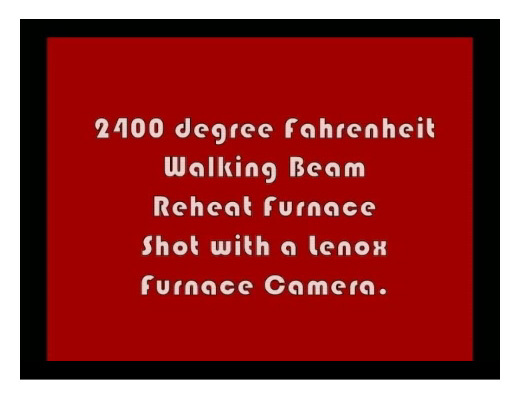 Click here to view video of a walking beam Reheat furnace as captured with a Furnace Camera HD. Lenox has supplied High Temperature Video products, which now includes the Pultz Systems, to the steel industry for over forty years. Our units have been used in Bar Mills, Pipe Mills, Tube Mills, Plate Mills, Pickling Lines, Galvanizing Lines, and Coating Lines. Reduce Air Consumption by More Than 21,000,000 CF per year resulting in a savings of over $5000* per camera system! *Contact Lenox for all the details. A steel industry specialist, with 30 years of experience, is at your disposal to discuss and review your application. Lenox Instrument Company recognizes the expense and hardship that original equipment manufactures and end-users face when other makers of high temperature camera systems go out of business or obsolete their product lines. If you need to source a new or replacement product there's a very good chance that Lenox can supply a camera to meet your requirements. Lenox Water Cooled FireSight Furnace Camera HD. Click here to view the Steel Industry Photo gallery. All Lenox Furnace Cameras Carry a TWO YEAR WARRANTY!